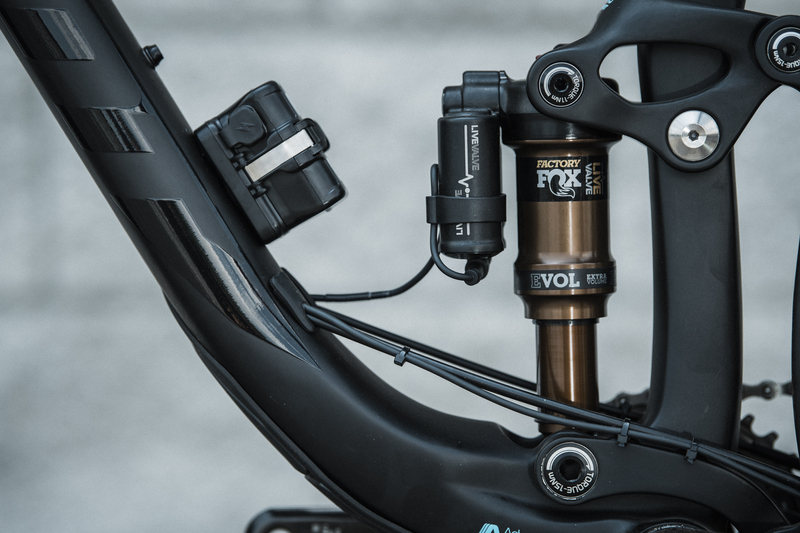 The electronic Fox Live Valve system continuously adjusts your mountain bike suspension, aiming to improve your ride — and how you ride it. 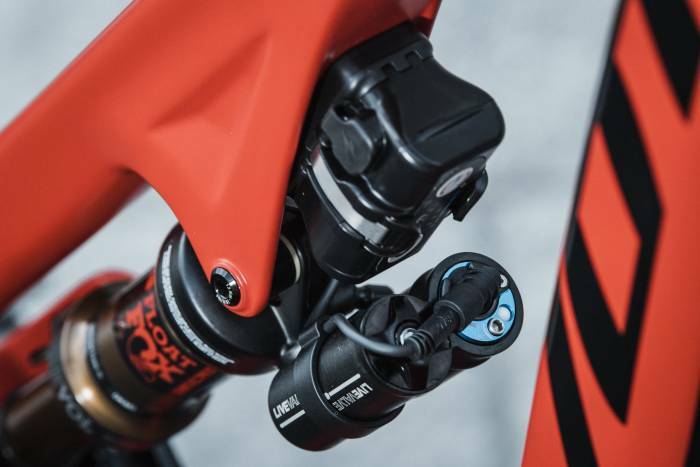 Most mountain bike suspensions have a switch on the handlebars, or on the shock and fork, to toggle suspension between fully rigid and plush-squishy-soft. 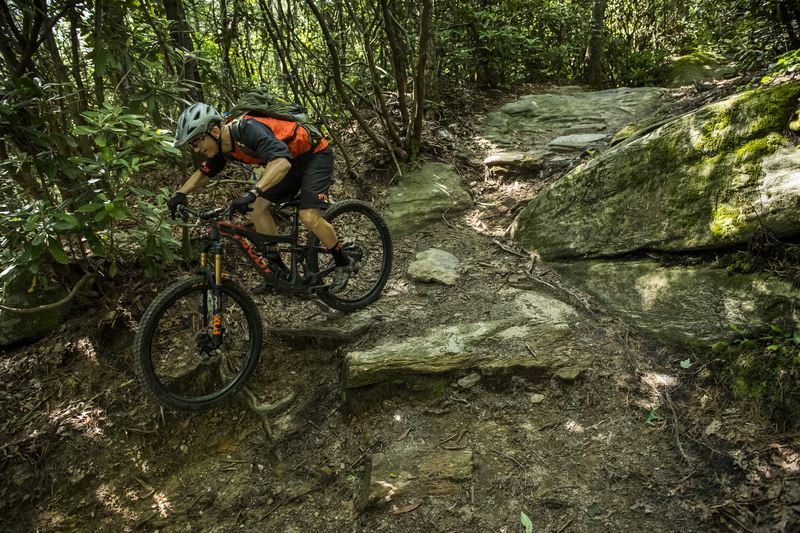 Terrain goes up and down when you’re riding, so you’ve probably found yourself flicking that switch between open, trail, and closed modes. It’s a handy feature that can take the bobbing and extra energy expenditure out of a buff climb. But forget to manually reopen your shock, and it can leave your shock locked out when the terrain gets technical. That can mean a bumpy and uncontrolled ride. And while manually opening and closing your shock can make climbing and descending more efficient when the trail is relatively uniform for a stretch, it’s impossible for a rider to actually optimize their shocks on the fly. Fox’s new Live Valve makes any technical ride better by taking out the human factor. 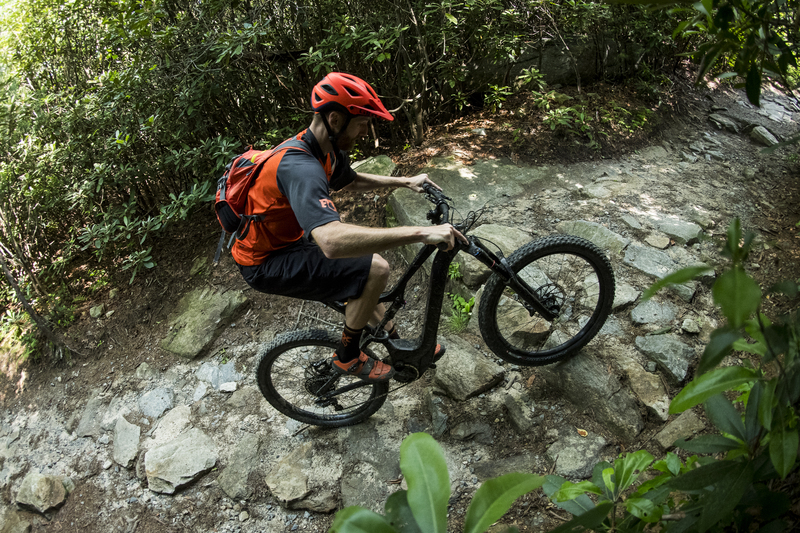 The battery-powered system opens and closes your shock and fork every 3 milliseconds — 100 times faster than a blink — constantly choosing the optimal fork and shock settings for your bike’s position on the trail. It’s not some gizmo for tech geeks who want to own the latest and greatest thing. For the past four months, I’ve tested the Live Valve on a Pivot Mach 5.5, an already awesomely fun trail/enduro bike. The Live Valve actually made the ride better. 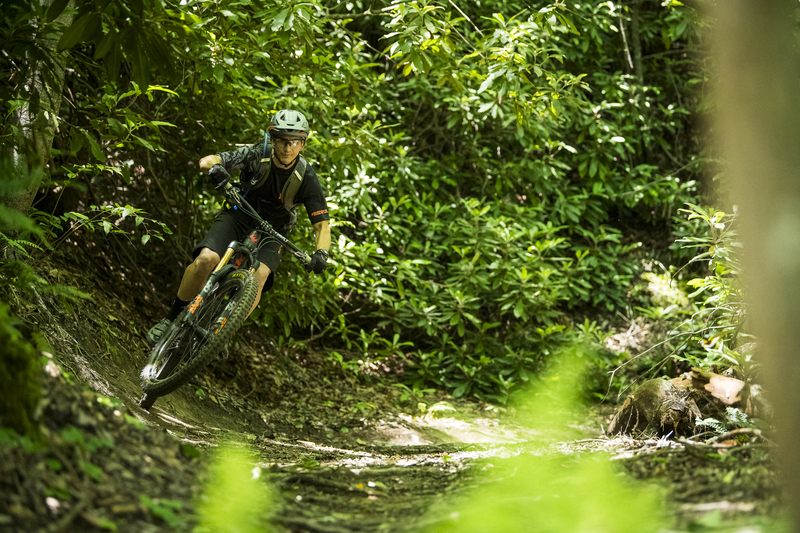 Whether riding in Vermont, New York, Massachusetts, Connecticut, or North Carolina, the Live Valve made riding technical terrain more fun while effectively boosting my skill level. Because the system always knew how much suspension I needed, it helped me control my bike more effectively. My tires stayed in contact with the trail instead of glancing off rocks or skittering around corners, more so than if I were adjusting the suspension myself. And on climbs, I didn’t bob around, which saved energy. But I could still power up little inclines and over rocks and roots. A rechargeable micro-USB two-cell lithium-ion 7.4v 800mAh battery powers the Live Valve system. A controller mounted next to the battery lets you power the system on and off with the push of a button. And it lets you choose any of five modes that determine how big a hit it takes to open the suspension. I experimented with all of the modes — 1 was too soft, and 5 was too harsh. I nearly always rode in 2 or 3. With the system powered on, front and rear accelerometers collect data 1,000 times per second about the bike’s speed, angle, and position in space. Combined with Fox’s algorithm, those sensors know if the bike is pointing uphill or downhill, if it’s in freefall or flat, and if the terrain is bumpy or smooth. A pulse from the battery opens or closes the suspension — both fork and shock — simultaneously and independently based on optimal suspension settings at any point in time. Once pulsed, the suspension remains open for half a second unless it gets a signal to open the suspension again. That second signal resets the half-second timer again. This repeats until the trail is smooth. If you’re riding down a rocky riverbed for two minutes, the suspension opens and stays open constantly, resetting the timer with each new bump, closing at the end. It’s power efficient. In that scenario, the Live Valve is using the battery to power only one opening. The Live Valve system affects the opening and closing of the suspension system. But it still allows the suspension to function as expected. One of the things I appreciated about this system is, even though it’s electronic, it still lets the rider set sag as well as high- and low-speed compression and rebound as on any other bike. The battery lasts 16 to 20 hours. But if it dies because you forgot to charge it or your mission was longer than you anticipated, it defaults to open. The system needs to be turned off manually. But if it doesn’t detect any bumps in a 90-minute period, it powers down, saving your settings and battery life. Fox engineers say that making the Live Valve predictable and consistent was the real challenge. They nailed it. In months of riding, the Mach 5.5’s suspension performed exactly as we wanted it to. There was no clicking or other rider sensation as the suspension switched. The only complaint I had was that, at least on my test bike, there were a lot of extra wires. That will inevitably improve as more brands build bikes with the proper ports to handle this system, as shops learn to install it properly, and as Fox works to streamline the electronics. If you already run Di2 electronic shifting, adding the Fox Live Valve means strapping a second battery to your bike. As of now, the two can’t be powered by the same source. 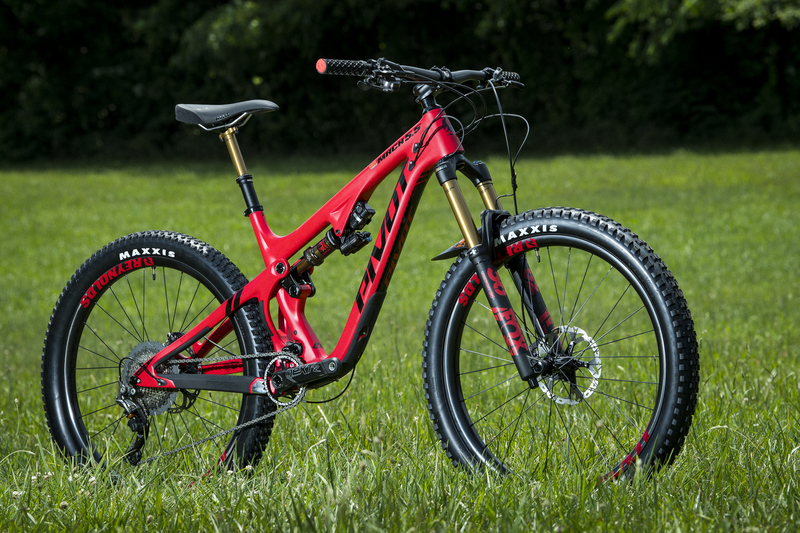 For 2019, Pivot, Scott, and Giant all have bikes that will be available with the Live Valve. It’s around a $1,800 upcharge for the system on a new bike, and $3,000-3,250 to add it after market. Every company’s modes will be slightly different — each brand controls that by working with Fox for the feel they want. Bump threshold, timer, and incline angle are all adjustable, but consumers don’t have access to those settings. Electronics on a mountain bike sometimes make me nervous. But this system is well thought out. And while I can’t say that no user will screw it up, it will be hard for most users to do so. A rider can set shocks with the wrong pressure, or tweak rebound settings to be too soft or too harsh, but that can happen on any bike. Wires are protected, and if damaged, they’re easily replaceable or repairable. Jetting water into the battery or jamming it with dirt could destroy it, but the system is rated to IPX 7, meaning you can submerge it in 1 meter of water for 30 minutes and it will still work. Four months into riding the Live Valve in wet and dry conditions, I’ve had zero performance or maintenance issues. For now, the Live Valve weighs around 2 pounds: 72 grams for the battery, 104 grams for the controller and sensors, 466 grams for the Live Valve shock modifications, and 249 grams for the damper. In total, it’s around 5 ounces heavier than Scott’s Genius cable-activated lockout. It works with most Fox shocks and forks, the complete list of which can be found here. Fox’s warranty will be the same as with other products — one year in the U.S. and two years in Europe. 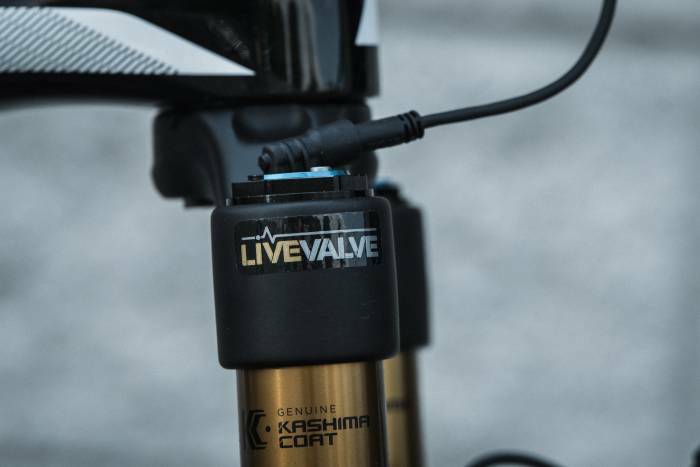 And, if you’re more of a motorsports enthusiast than a mountain biker, you can still reap the benefits of the Live Valve. Fox also makes suspensions for Ford Raptor trucks and Polaris side-by-sides.